After a little break we finally decided to go on Hong Kong Trail Stage 7, which is 7.5km long with a 6km stretch of concreted trail alongside a water catchment. 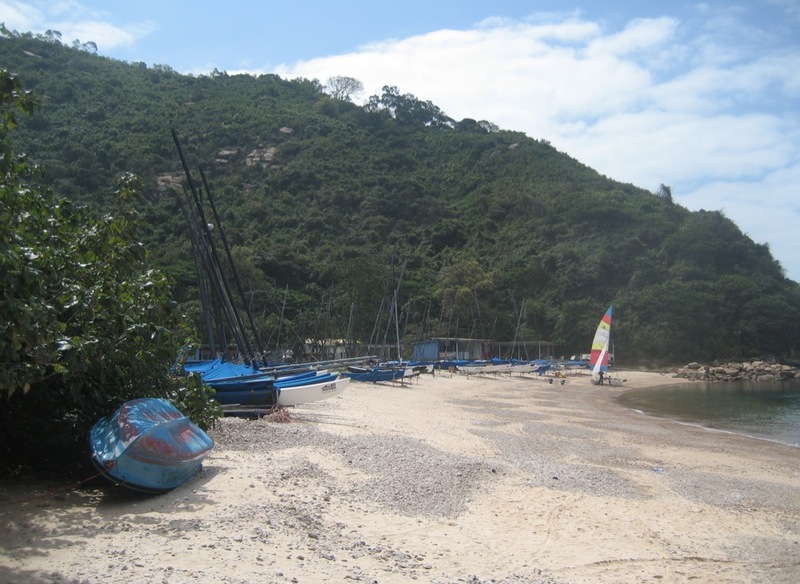 It is easy to walk and gives you great views of Tai Tam Harbour on a sunny day. 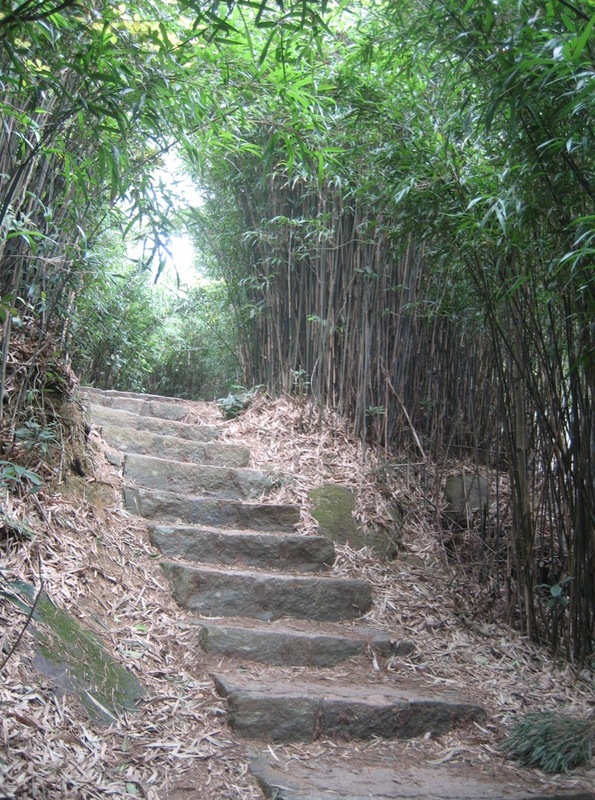 The Starting point for this trail is the end of Hong Kong Trail Stage 6 on Tai Tam Road, near Tai Tam Tuk Reservoir. 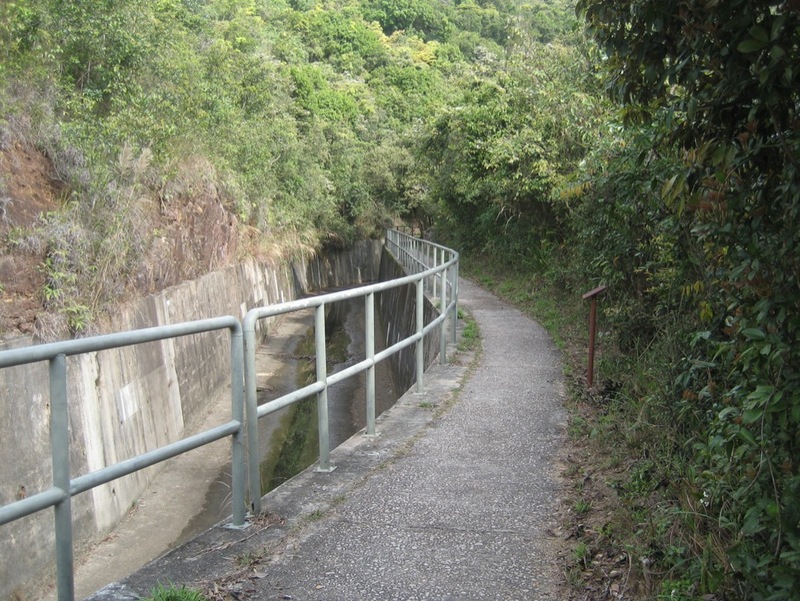 We headed down the stairs by Tai Tam Road and followed the concrete path alongside the water catchment. 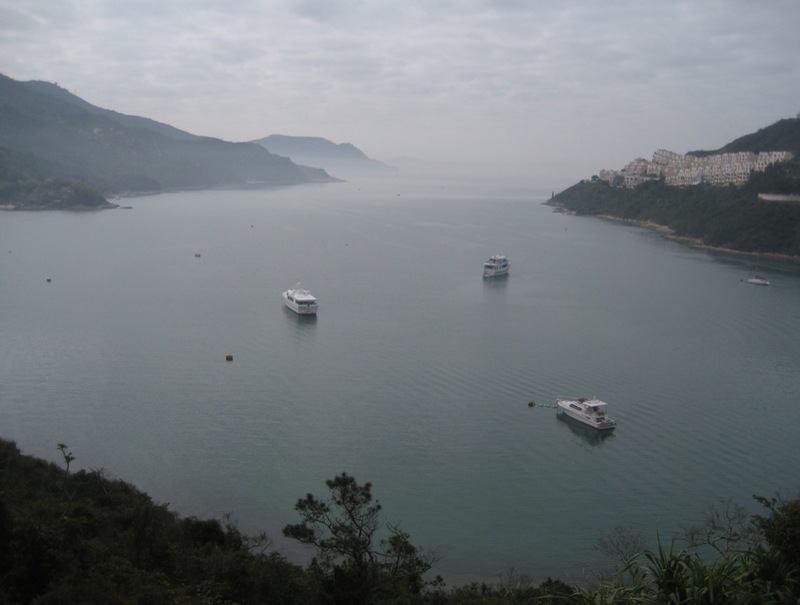 Although most of this trail runs alongside a water catchment, there are some fantastic views of Tai Tam Harbour to be seen. After distance post H082, the trail changes from concrete to dirt. We only had a few more steps to go. 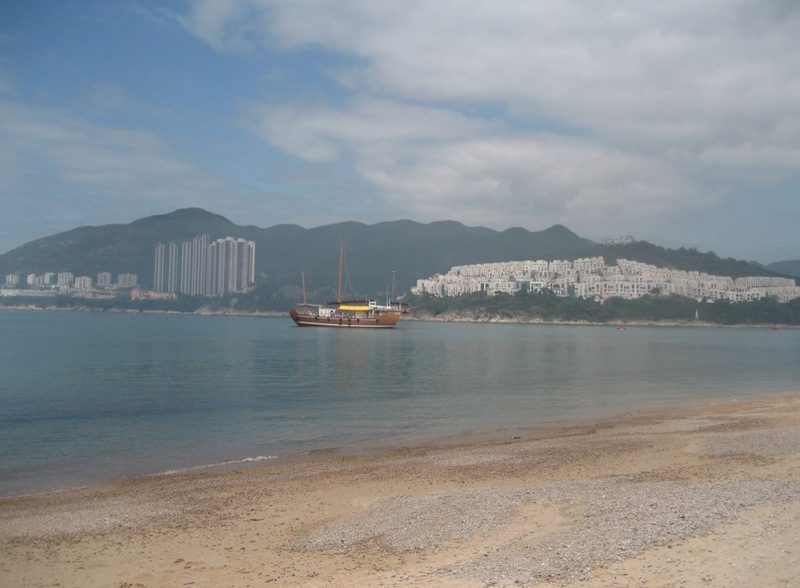 Before heading up the stairs to Shek O Road we took a little detour and went down the steps to the beach, overlooking Tai Tam Harbour. As it was one of the first sunny days this year (we went on the hike in March, so apologies for the delay in uploading the pictures) there were hardly any people around. Only one boat was out in the sea and the little boats were still at the beach. 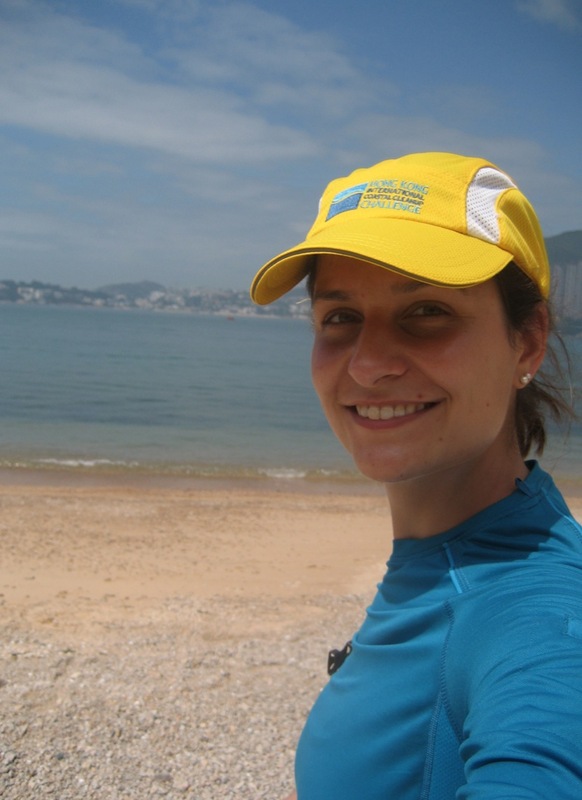 Monica and I should have brought our picnic and bikinis – but we still had Hong Kong Trail Stage 8 in front of us. 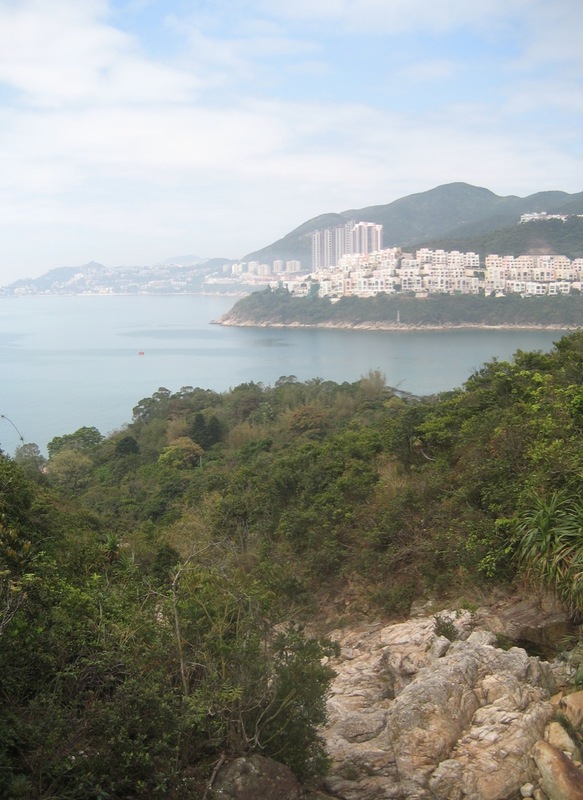 So back we went and we climbed the stairs towards Shek O Road, which is the end of the Hong Kong Trail Stage 7.